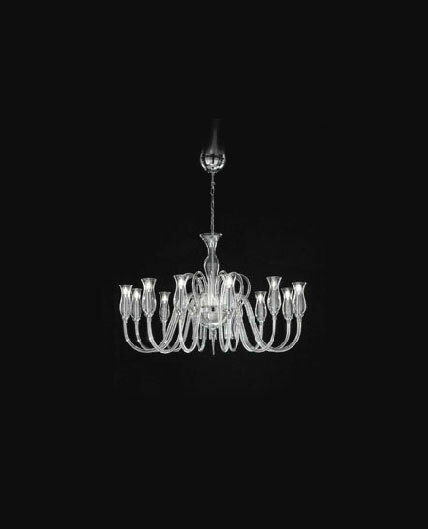 Angelo's Lighting sell a wide range of Venetian ceiling lights from our North London showroom made from a range of materials such as brass, stainless steel wrought iron, clear glass, coloured glass and crystal glass. 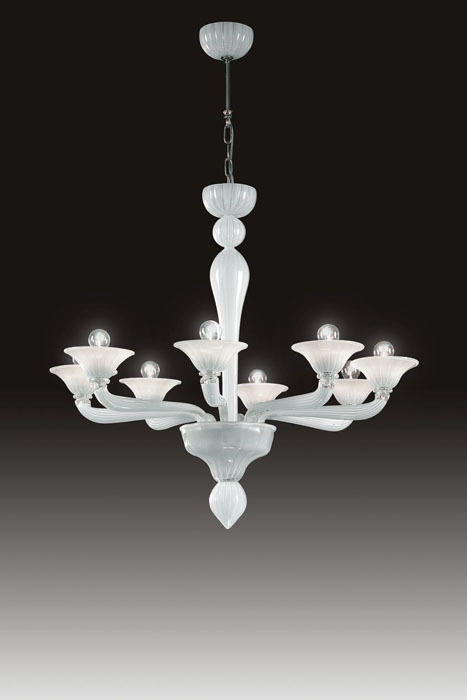 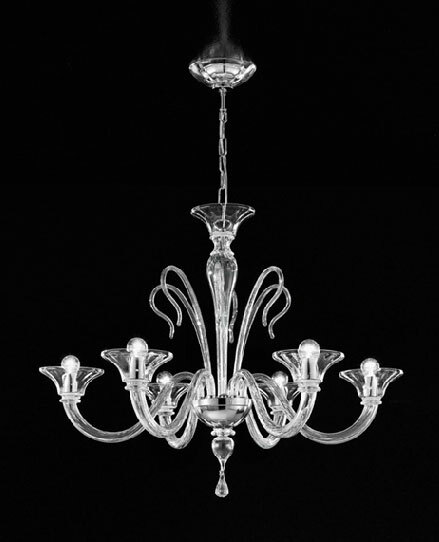 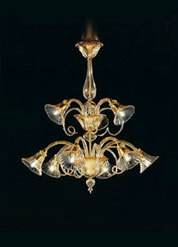 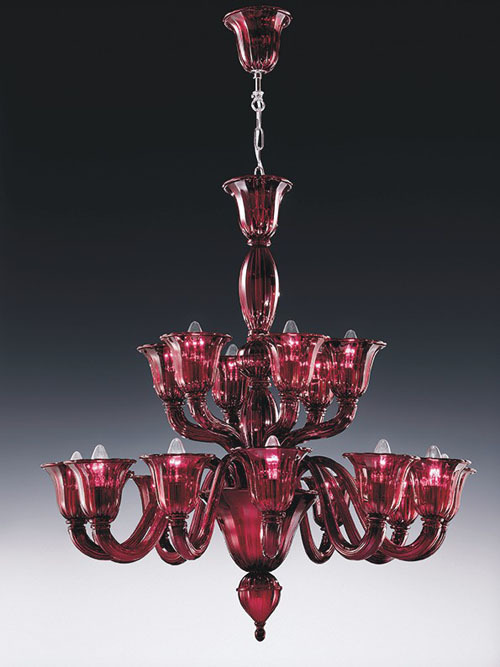 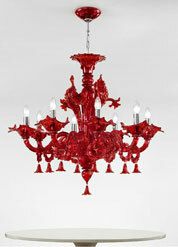 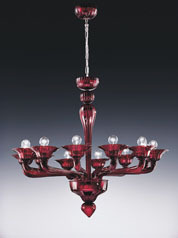 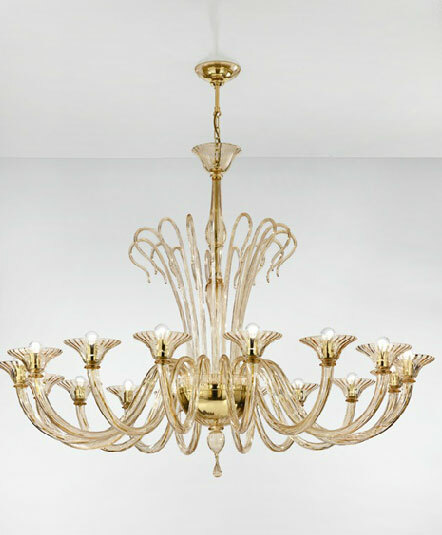 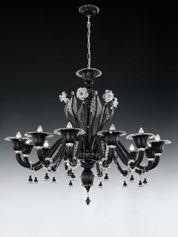 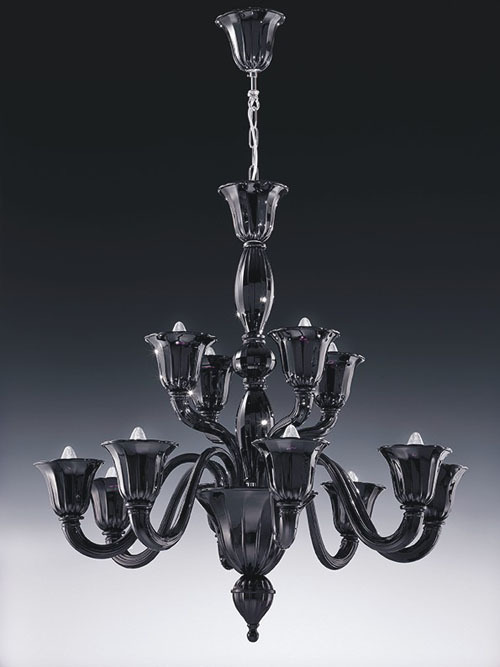 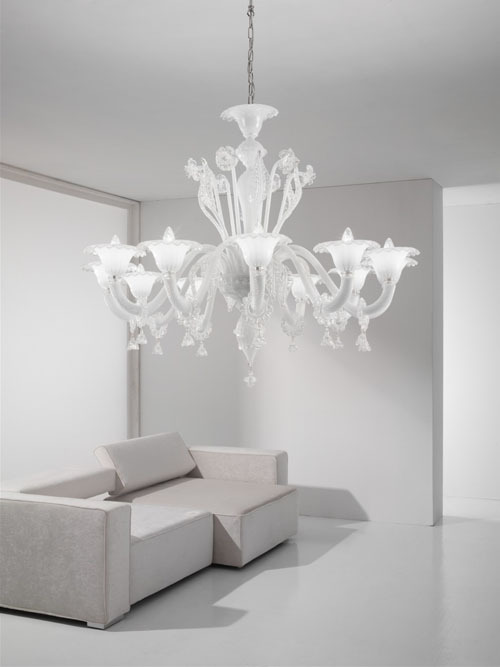 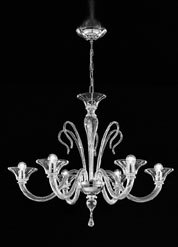 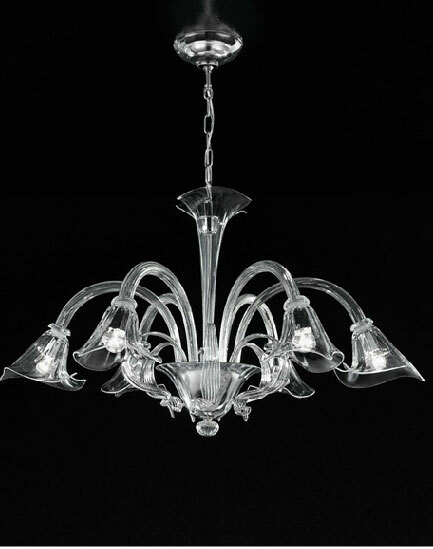 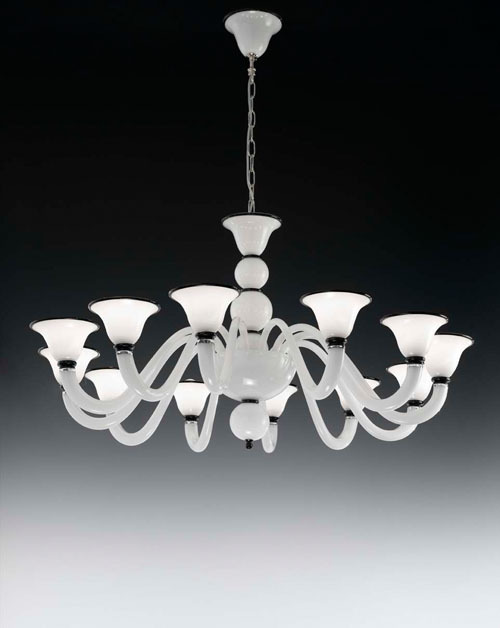 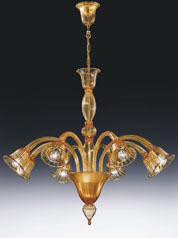 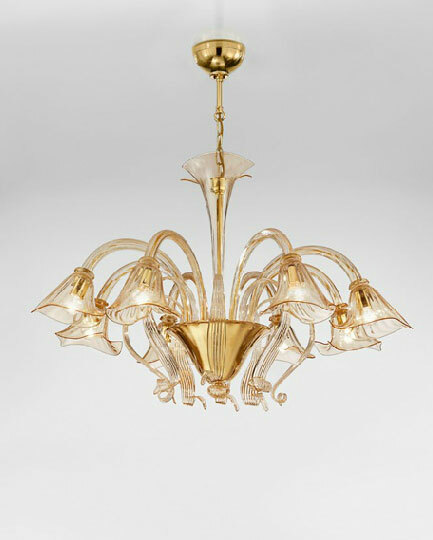 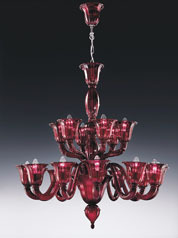 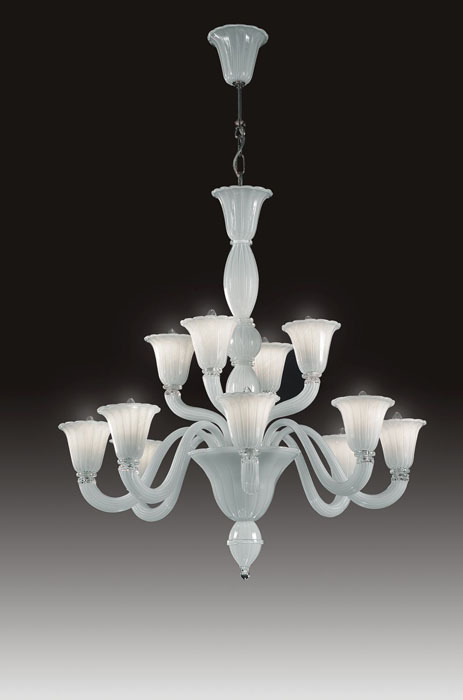 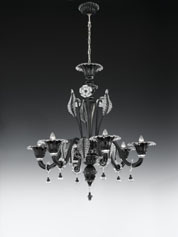 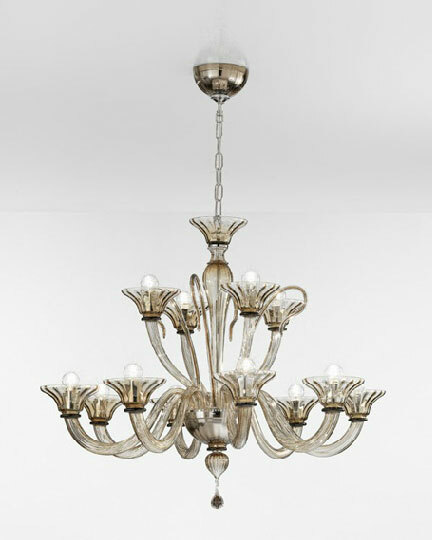 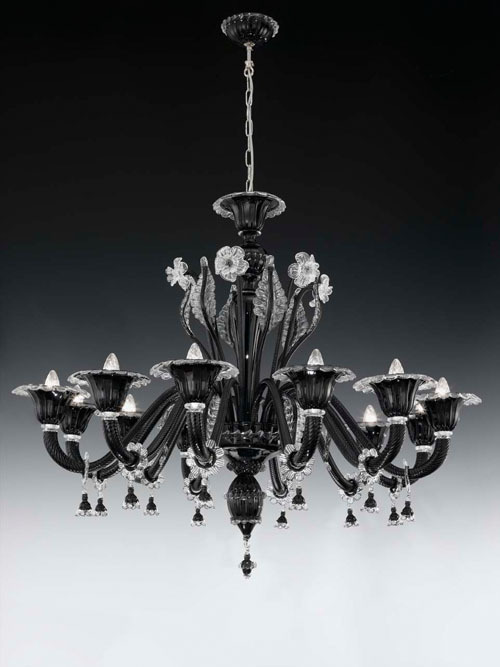 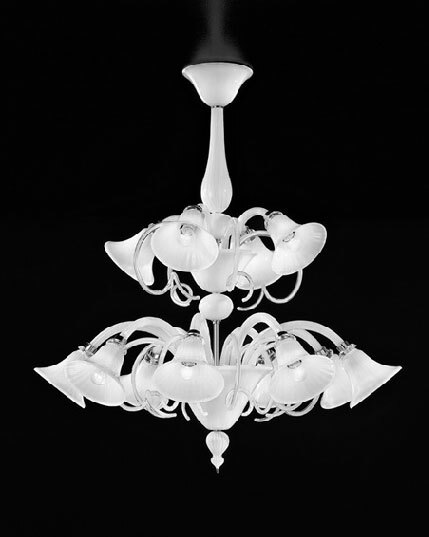 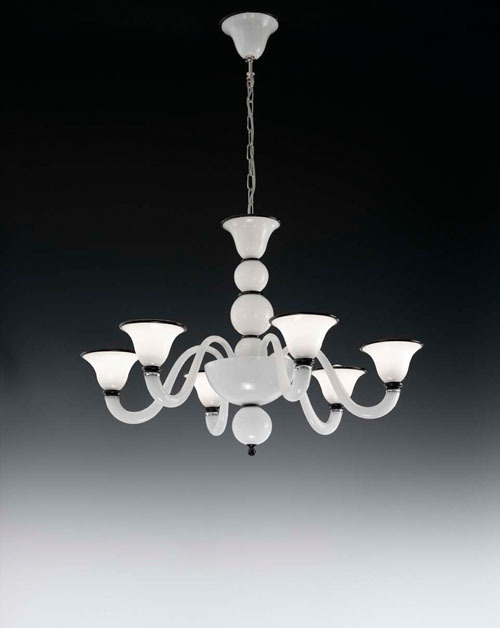 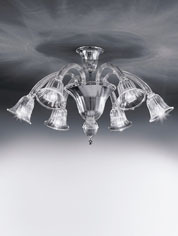 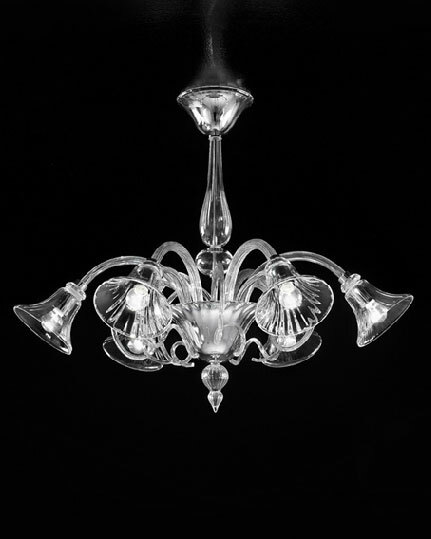 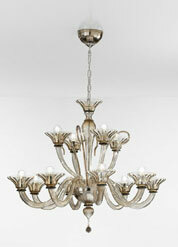 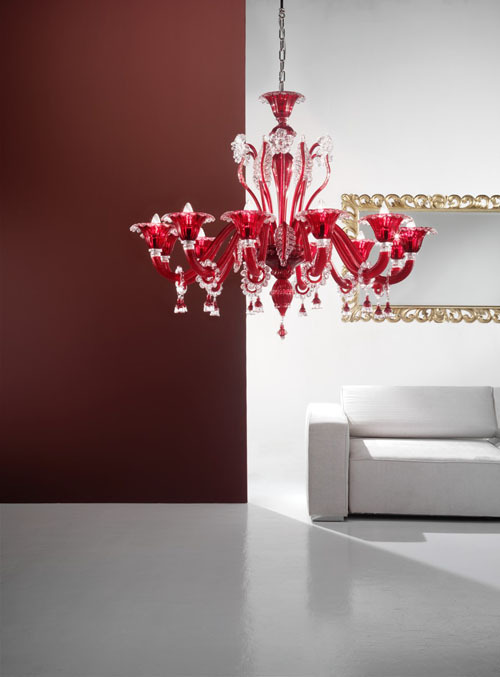 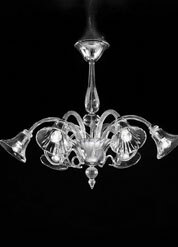 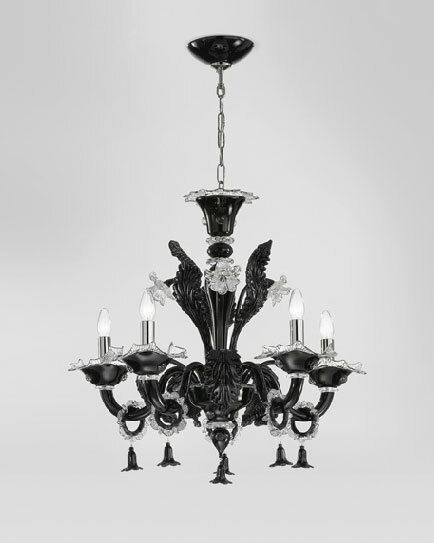 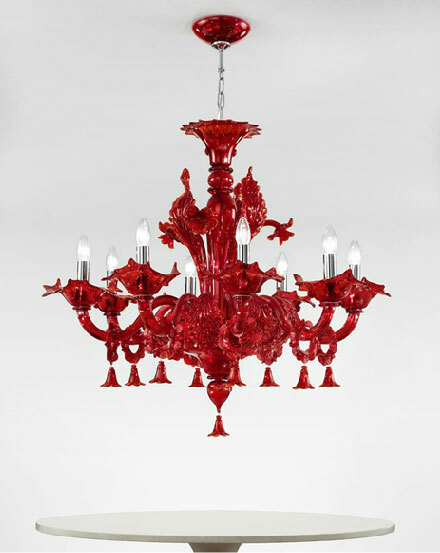 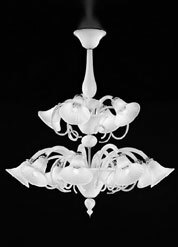 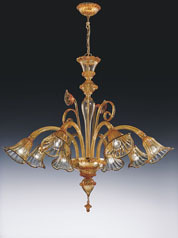 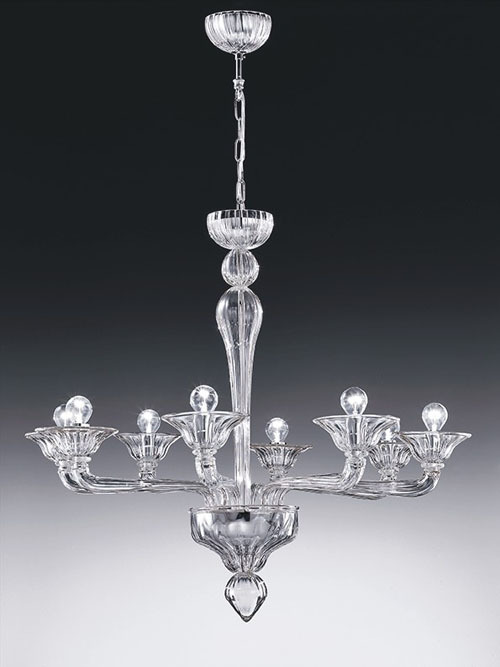 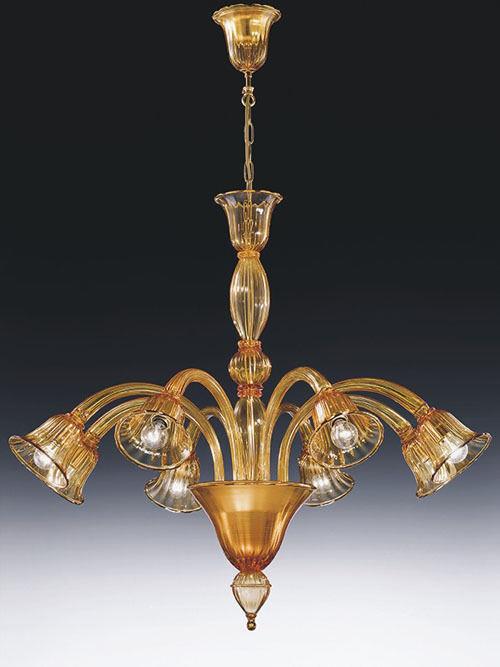 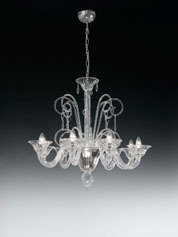 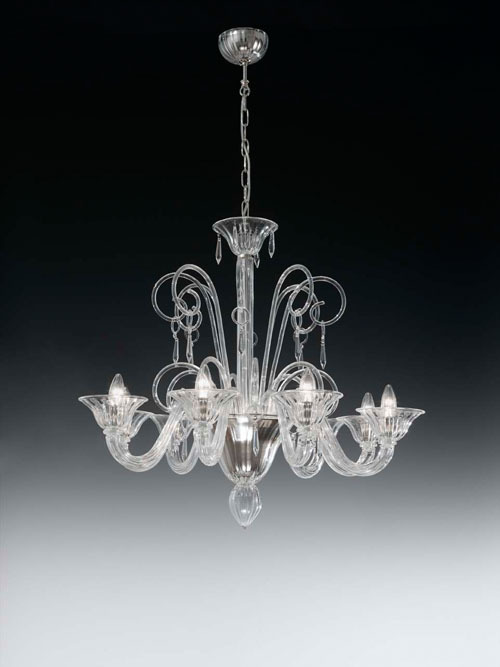 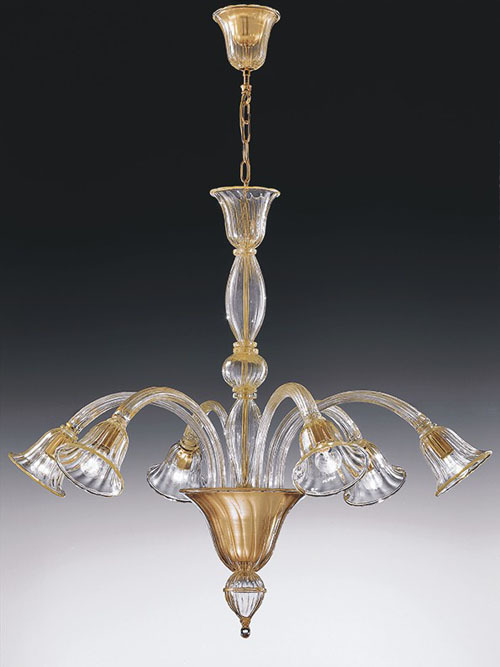 Originally, Venetian ceiling lights were made from blown glass by master craftsmen based on the island of Murano. 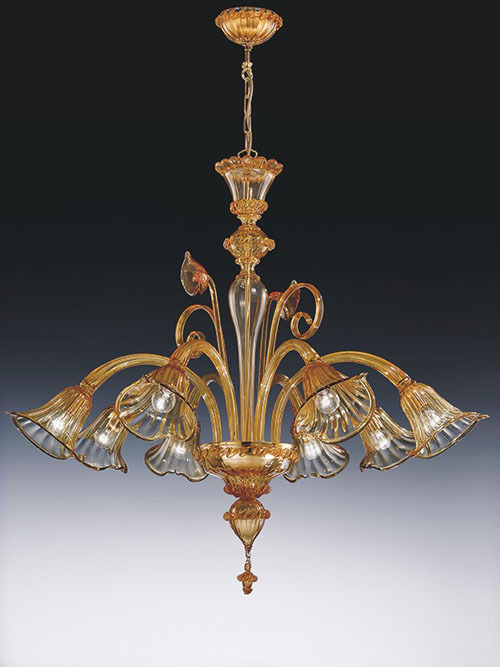 Whilst this genuine Venetian lighting is very rare and expensive, we offer a range of extremely high quality reproductions, which will create the same elegant style within your home. 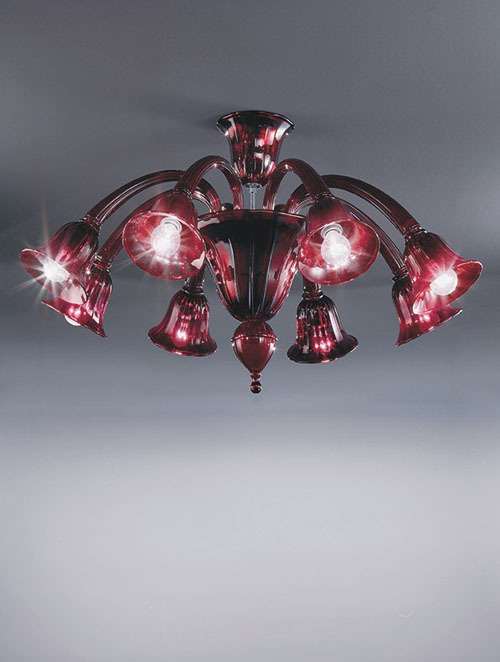 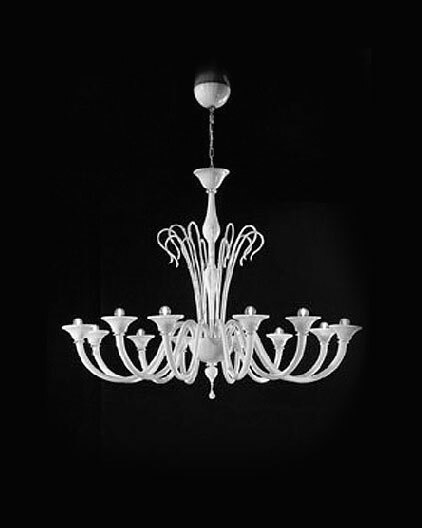 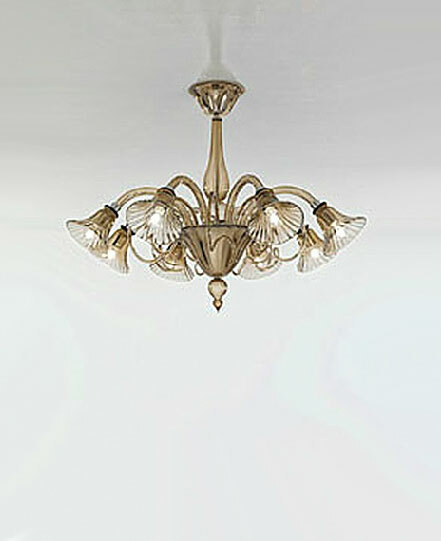 Our Venetian ceiling lights include pendant ceiling lighting which emits a soft glow and dramatic chandelier lights. 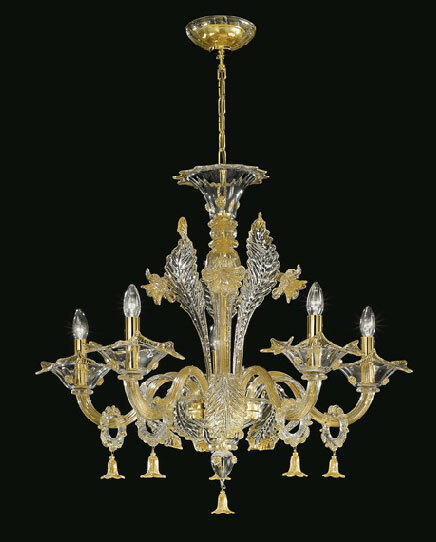 A Venetian chandelier light is by far the most impressive style of lighting and will add glamour and elegance to any interior. 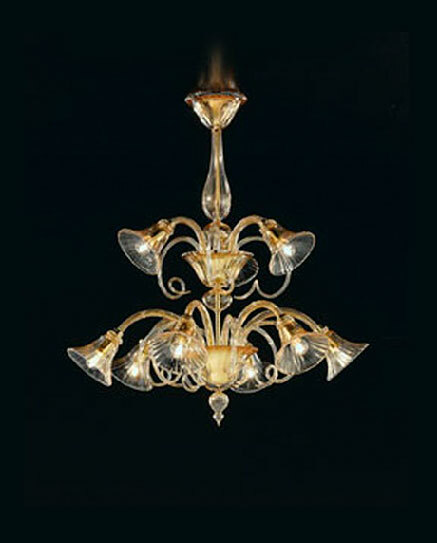 Choose from single tier, double tier, multi tier designs and highly polished or antique style lighting. 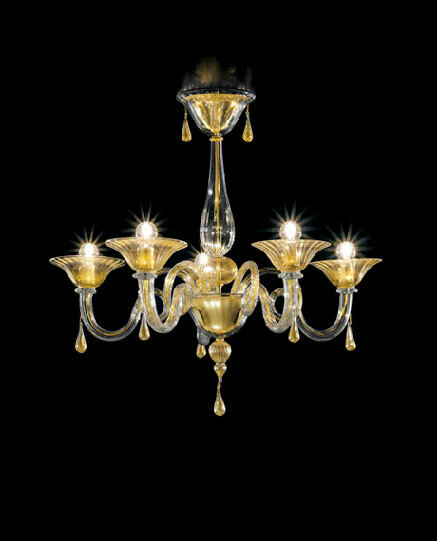 Venetian ceiling lighting oozes class and style and can be used in all types of homes from modern city apartments to manor houses. 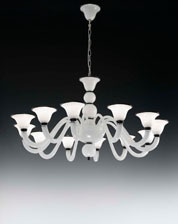 It provides a chic and elegant look to a modern home or adds drama and impact to a period property. 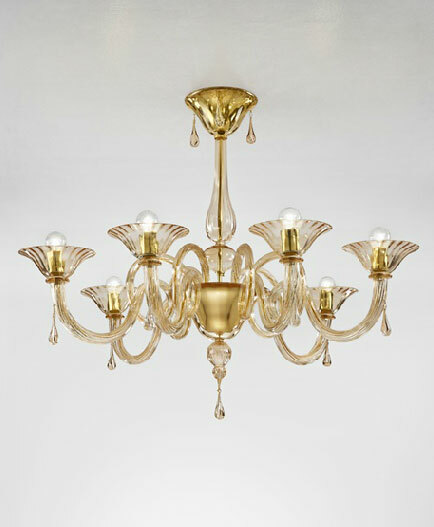 The Venetian ceiling lights featured in our London showroom include simple and elegantly sculpted designs to the grander and more elaborate multi-tier designs which look impressive in the hallway, stairs, dining room or living room. 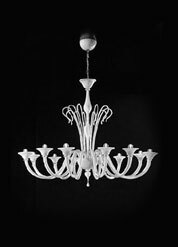 Angelo's Lighting sell hundreds of different styles of Venetian ceiling lights for London homes and offices and to suit all budgets. 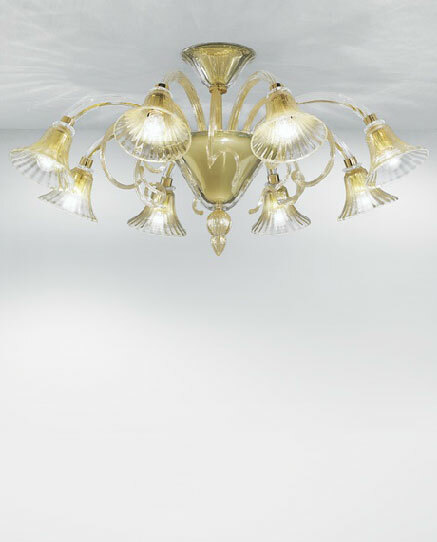 This page features only a fraction of our Venetian ceiling lights so visit us in our N8 London showroom to browse our complete collection. 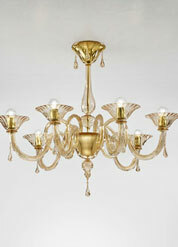 Venetian ceiling lighting can be used as a feature to add glamour to a room or to blend in with existing décor. 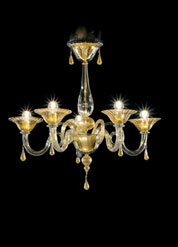 Here are some ideas on how to decorate a room with Venetian lighting for maximum effect. 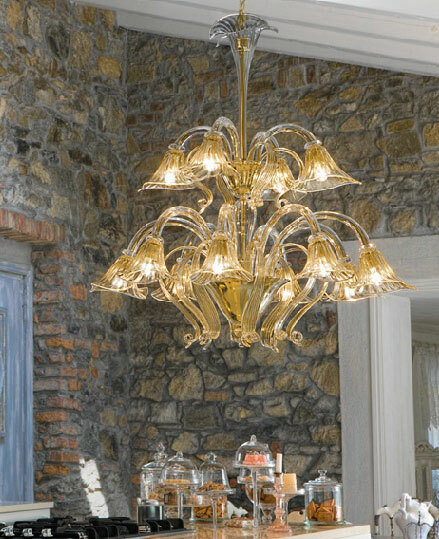 Dining room – A chandelier light hung above a dining room table will add grandeur to this space and show off a shiny polished solid wood table to its full effect. 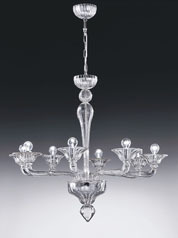 The crystals from the ceiling light will reflect in the varnish in the table and look stunning. 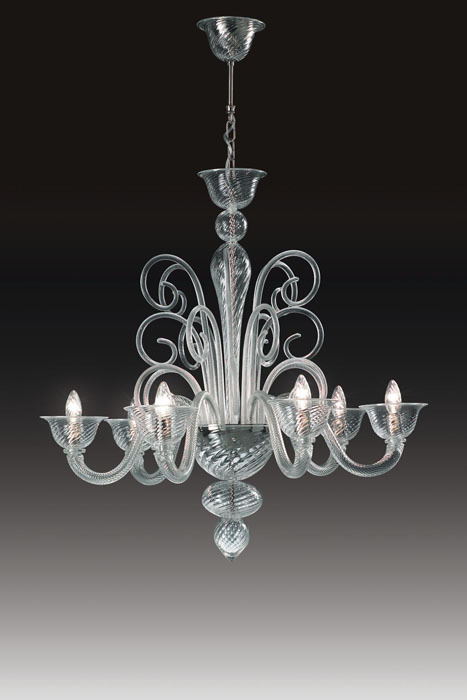 For best results, use a chandelier light in conjunction with a dimmer switch to create different moods depending on whether you are using the dining room as a home office, meeting place, or for a romantic dinner for two. 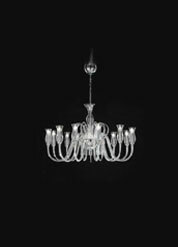 Sitting room/Drawing Room - Hang a beautiful chandelier light in the centre of your drawing room or sitting room to add beauty and elegance to this part of the home. 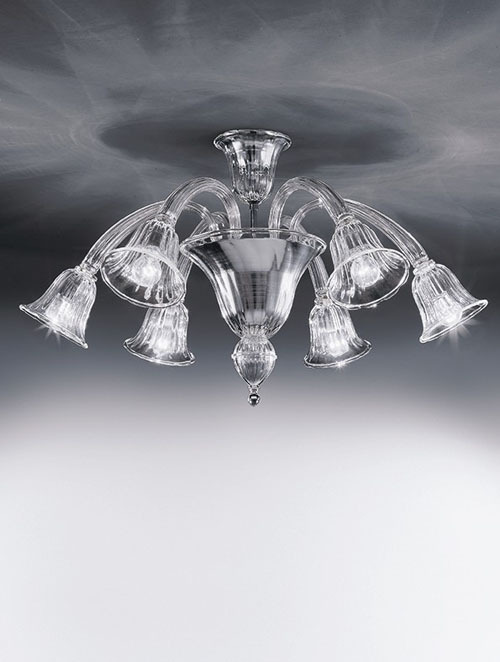 Venetian ceiling lights look stunning in all types of homes from contemporary apartments with modern décor to period properties decorated with antique furniture. 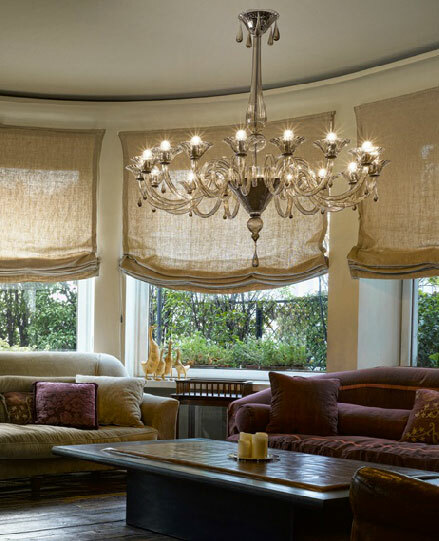 Living room lighting should be adequate but not too harsh, so use your Venetian lighting with a dimmer switch or in conjunction with a table lamp or floor lamp to light up a reading or entertainment area. 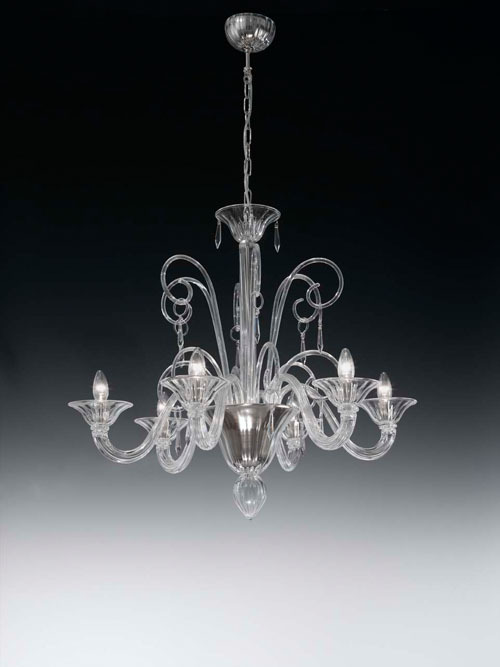 A single but elaborate crystal chandelier light hung from the living room ceiling adds beauty to your home as the crystals refract the light and create a wonderful sparkling effect. 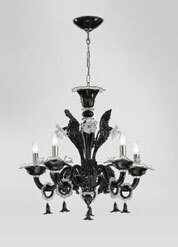 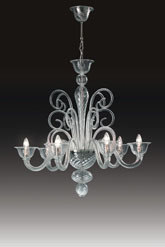 There are hundreds of different shapes and styles of chandeliers so choose wisely. 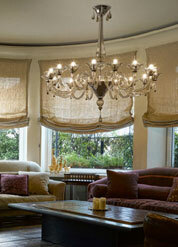 One of the things to think about is the size of Venetian ceiling light you need in this space. 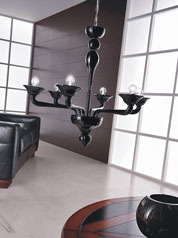 Your decision is affected by the shape and size of your room. 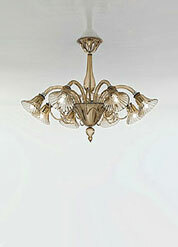 Generally the larger the room the grandeur your Venetian ceiling light can be. 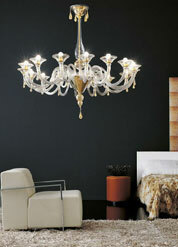 Choose more understated options for smaller rooms. 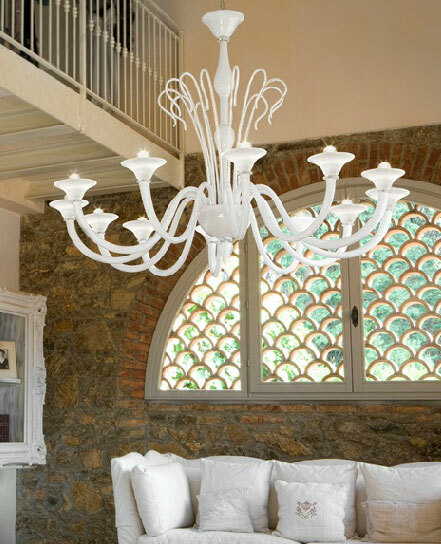 If you need help and advice in choosing the right Venetian ceiling lights, visit us at our North London showroom and we are happy to answer any queries you may have. 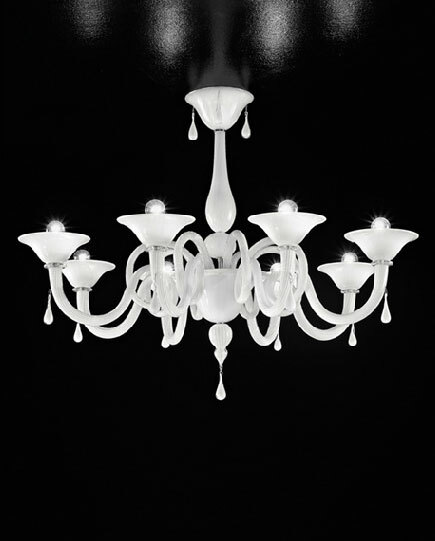 Hallway - You can use single tier Venetian style ceiling light in the hallway close to the entrance of your home to create a warm glow which will welcome guests when they arrive. 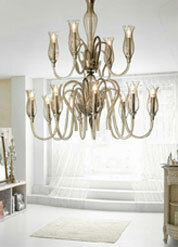 Alternatively, a more elaborate chandelier light hung above a sweeping staircase looks stunning. Position it so it is framed by the window and can be seen from outside. 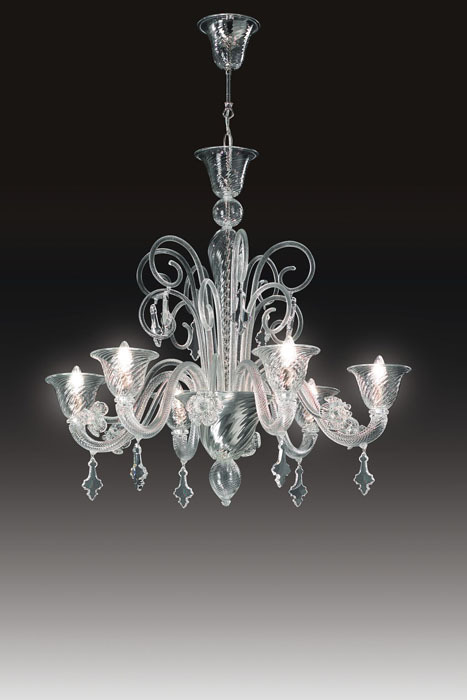 Some Venetian chandeliers contain different tiers of lights and glass or crystal prisms that throw a shimmer of light across the room. 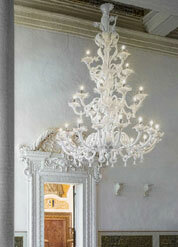 A Venetian ceiling light works well in a hallway because the overall effect is so dramatic. 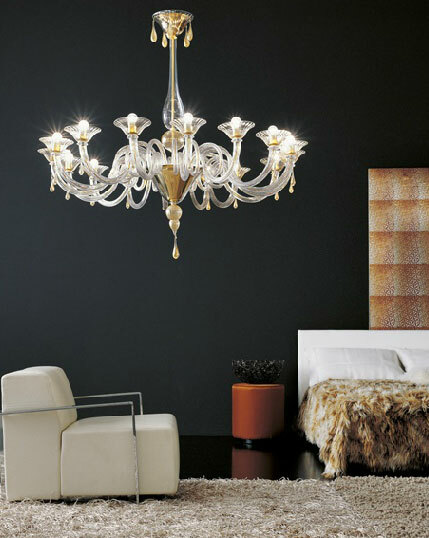 Bedroom – Venetian ceiling lights create a warm and welcoming look to a bedroom and makes this space feel calming and relaxing. 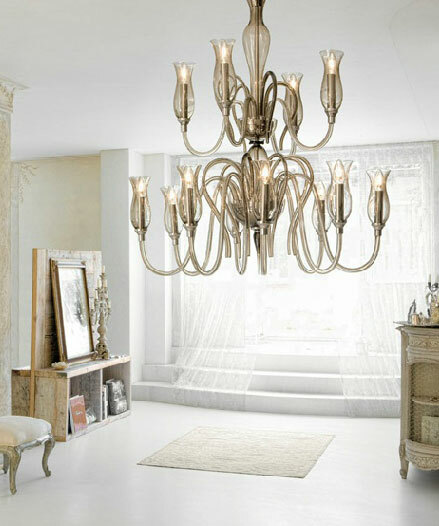 The larger the bedroom, the more impressive your chandelier light can be, but generally a less elaborate Venetian ceiling light produces a more calming and tranquil effect in the bedroom and looks striking in this part of the home. 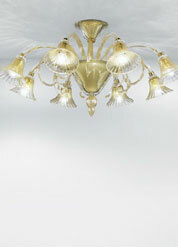 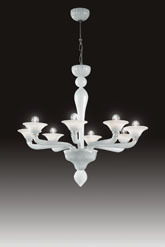 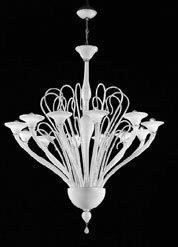 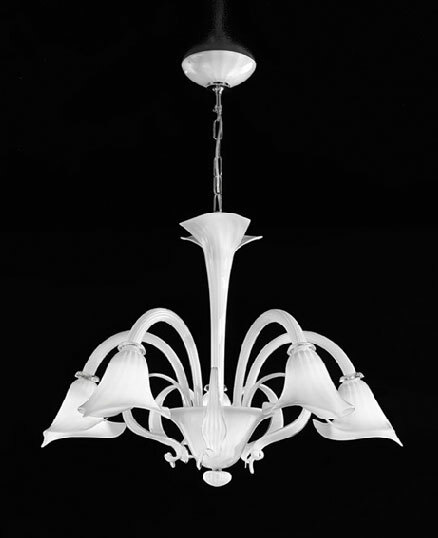 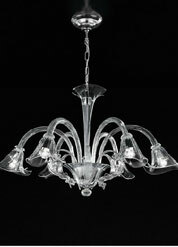 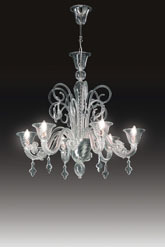 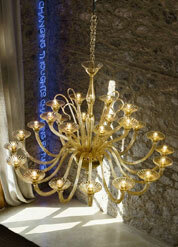 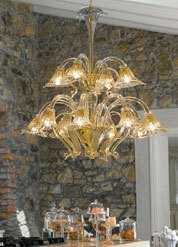 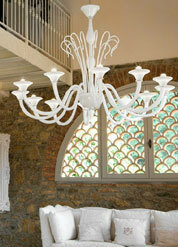 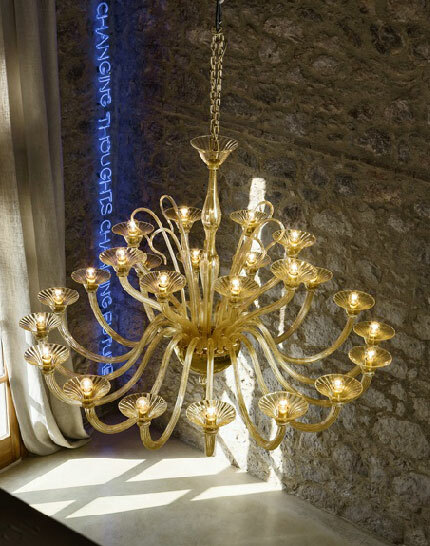 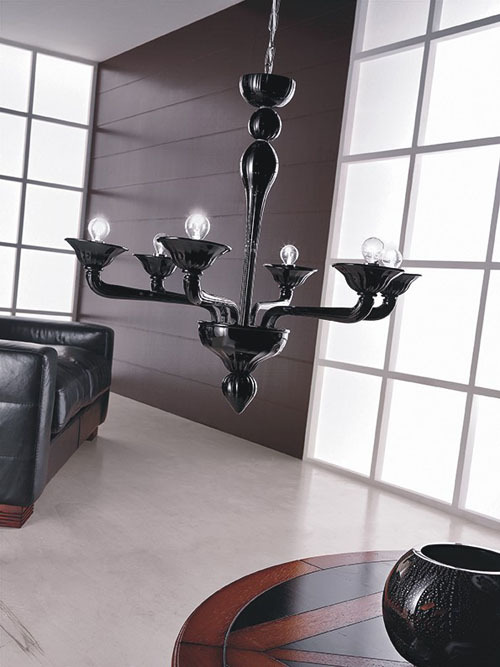 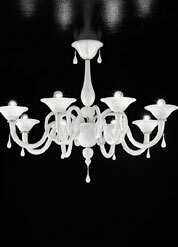 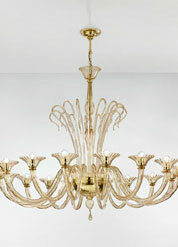 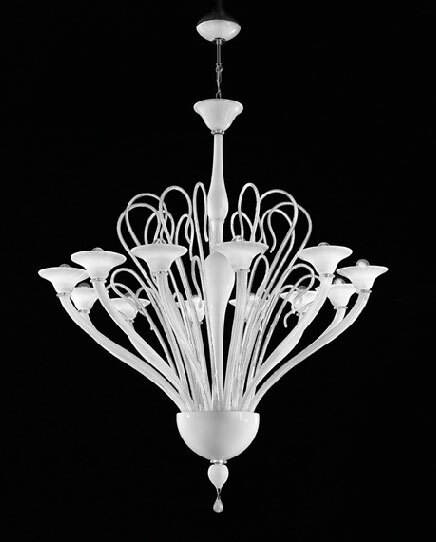 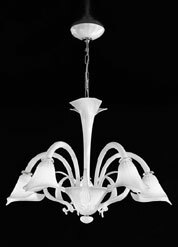 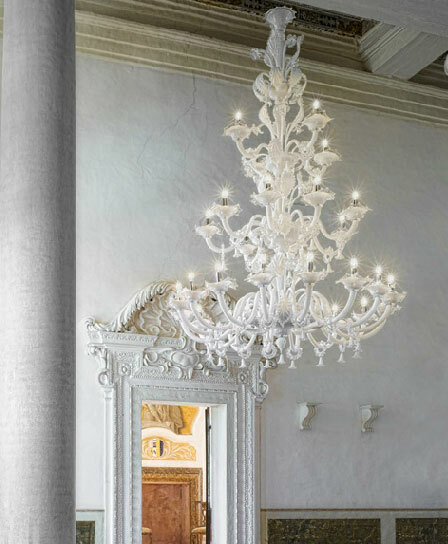 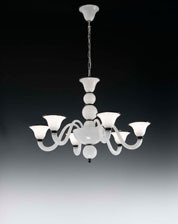 We have 1000's of Venetian Lighting design's in our showroom!